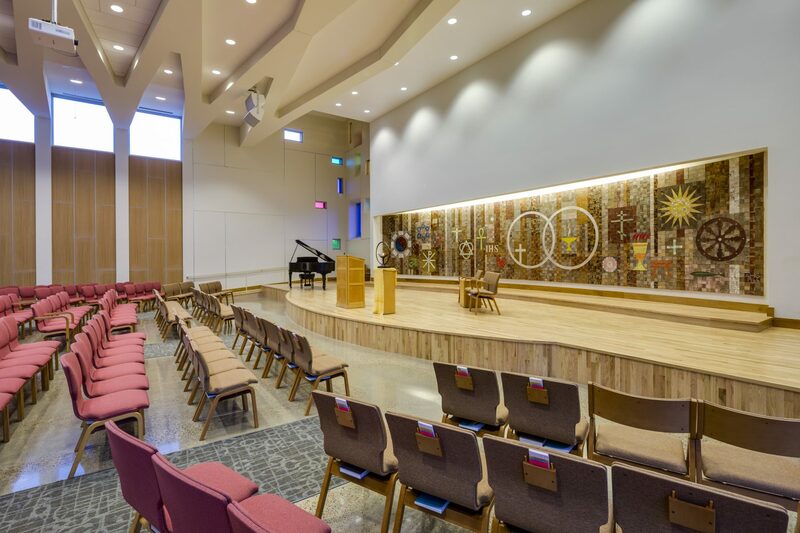 First Unitarian’s new sanctuary sits prominently on the corner of a major city intersection, anchoring the existing church campus within its urban setting. 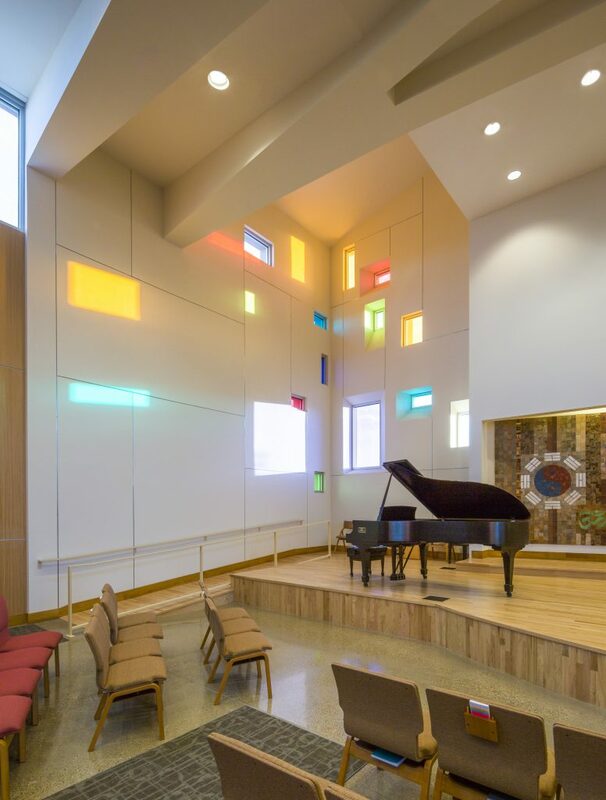 The building’s strong geometry and simple massing respect the lines of the original sanctuary from the modernist era. 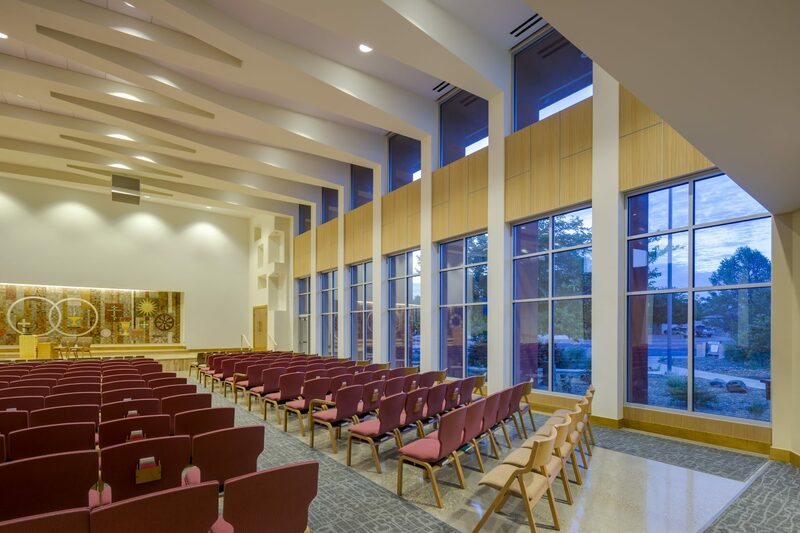 The new entrance, symbolic of UU’s inclusive approach to life, welcomes the community from the campus’s central courtyard. Inside, the Unitarian Universalism’s seven guiding principles are represented in the sanctuary by seven columns on each side of the assembly space, connected by a web-like ceiling that unifies all who gather beneath it. 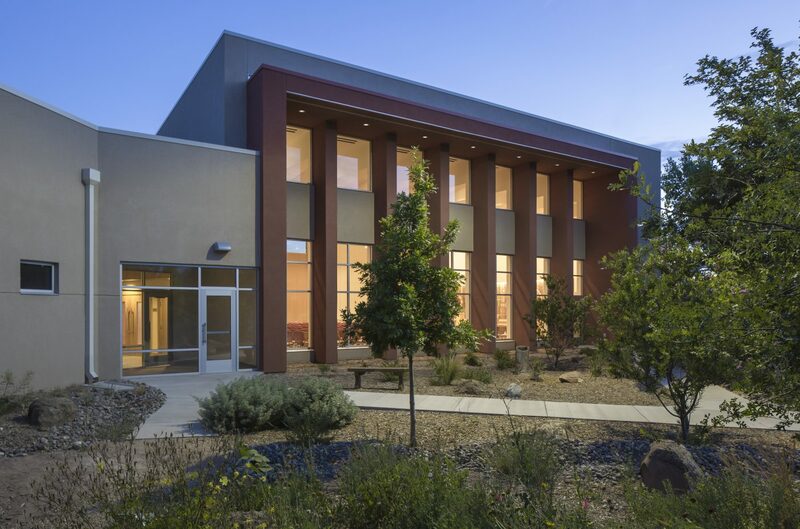 Church members wanted to create a highly-sustainable building that aligns with their mission of environmental stewardship. 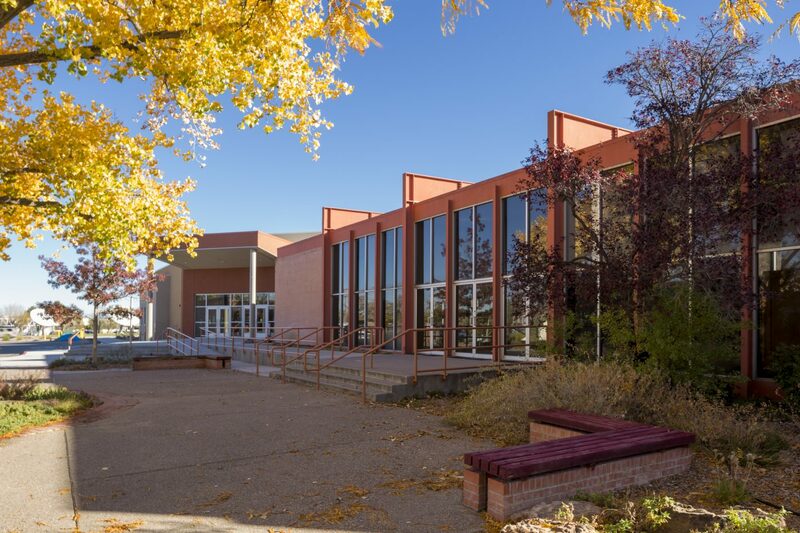 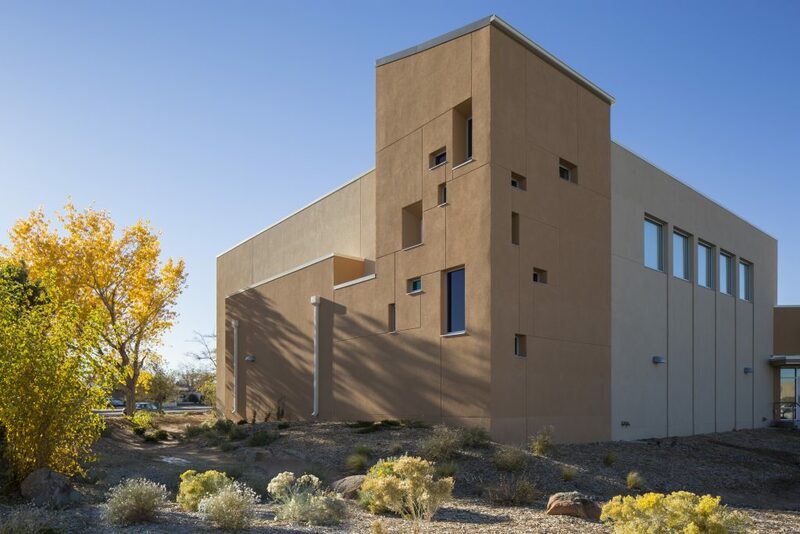 The result is the first LEED Platinum religious facility in New Mexico.